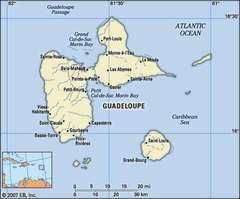 Guadeloupe is located in the Caribbean. It is it's own island, most near the Dominica island. 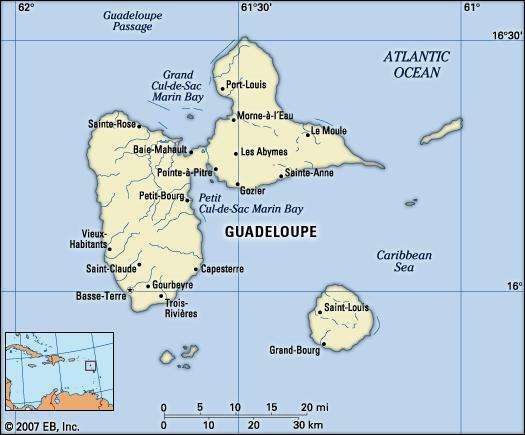 Guadeloupe has different types of animal, plants and vegetation around the island. The animals they have are different types of birds. underwater animals, and other types of animals. The island have 33 species of birds, but have 17 endemic to the the Lesser Antilles. Some types of bird that are on the island is, Black Woodpecker (Picnior), Pelican, Hummingbird, Thrush, Frigate bird, Wild Ducks and many more. If I was able to go to this island, I would love to see the Wild Ducks and the Black Woodpecker. The types of marine life in the oceans around the island is, whales, dolphins, sea turtles, west indain manatee, lobster, octopus and many more. They are know to have tons underwater life with animals and all. Some other types of animals is different species of bats and the island also have raccoons as well. It is said that Utah has the largest concentration of slot canyons in the world, and many of them are easily accessible. A slot canyon is a narrow canyon that is formed from water rushing through rock. What starts off as a tiny crack steadily grows larger from repeated flash floods and erosion over millions of years. The end result is a narrow canyon with very high walls. 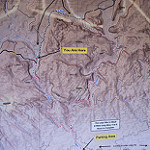 These canyons range from ten inches wide to several meters wide. The narrower canyons usually feature twists and turns and beautifully scalloped walls. Some canyons feature sections requiring canyoneering or a rock scrambling experience. Also, due to the fact that slot canyons are formed from rushing water, the danger of flash floods still exists today. 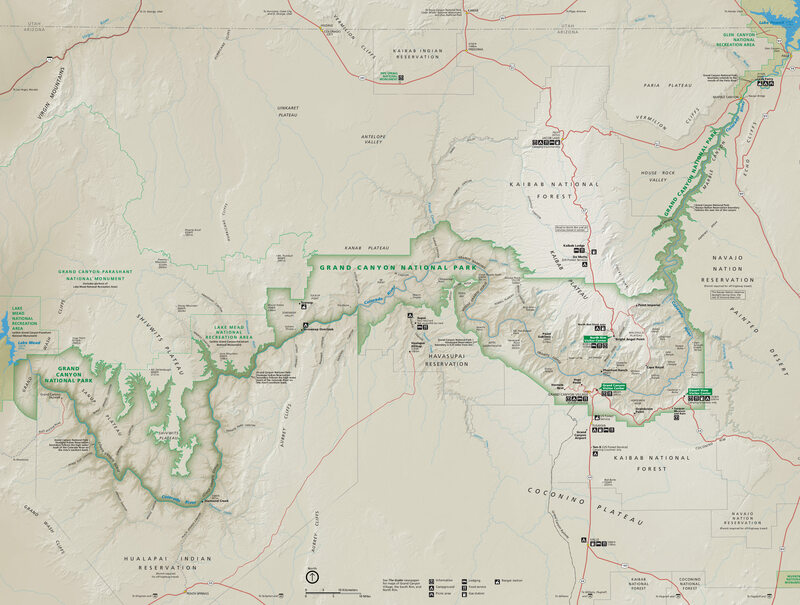 Hikers have died because they were caught by a flash flood while in some of these canyons. The natural forces that carved slot canyons are still at work to this very day even light and distant rainfall can render slot canyons to be extremely dangerous. However, in clear conditions, hiking the slot canyons of Utah is a fascinating journey into one of nature’s greatest accomplishments. One of the more popular slot canyons are the Spooky and Peek-a-boo Slot Canyons they make a great half-day adventure. Starting at the bottom of naturally sculpted Peek-a-boo and climbing up, passing under a few arches, and over a few pot holes. From the top you follow the slickrock to the entrance of Spooky. Slide sideways through this narrowest of the earth’s crevices. If you happen to find yourself longing for a nice getaway mixed with a little adventure then this is the spot for you! 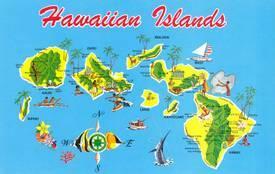 Hawaii is made up a total of 137 islands each have their unique traits. Each island is home to many different types of wild life, as well as the waters surrounding the land. One of the many animals that live off the Hawaiian coast are the Hawaiian Green Sea Turtles. Often seen of the North Shore or even resting on the beach of Punaluu Black Sand. Also, in the abundant waters surrounding the islands is the Spinner dolphins. This specific species is known for their spinning behavior; actually, being able to make roughly 5 spins while leaping of out of the water. They feed of the variety of fish that live off the coast of Hawaii. The islands are home to an estimate 20% of fish that is found anywhere else in the world. Many can be found in the deep coral reefs in the Papahānaumokuākea Marine National Monument. Such as the Masked Angelfish is found often 200 ft. off Pearl and Hernes. Hawaii is known for the amazing waters, but some forget the life on the islands. Animals such as Feral Wallaby. They are almost like miniature kangaroos, that are originally native to New Guinea and Australia. Not to mention they are declared Near Threatened by the ICUN. The islands also have pigs; these however don’t swim as the ones in the Bahamas. Pigs, cattle, goats, and even donkeys managed to have a harsh effect on the vegetation when humans brought them over. In the past Hawaii had a rat problem, so one of the ways they started to take control of the matter was non-native Indian Mongoose’s. They however predated on birds who nested on the ground and endangered turtles. Creating a big loss in the Hawaiian crow and Hawaiian goose population. The Hawaiian Goose being the state bird and the rarest species of geese in the world, with the help of being over hunted. Hawaii consist of six vegetation zones: coastal, lowland rain forest, montane rain forest, subalpine, alpine, and dry leeward. A great way to sample many of the exotic fruits is by visiting the Hilo Farmer’s Market. You will be able to try a variety of each fruit, such as the apple bananas or finger bananas. You can find many edible fruits walking through the islands, however not everything is not for consumption. Such as the wood off a mango tree shouldn’t be used for firewood. The sap when burned will produce a smoke that can cause eye and respiratory irritation. The islands are a great place for plants and fruits to grow because of the high humidity and precipitation. Hawaii has to spends millions of dollars each year to keep infiltrative species from over populating the native plants and animals. The Amazon River is the second longest river in the world (after the Nile River). Although this is often debated but it has the largest water-flow in the world by far. It also has the largest drainage basin of any river in the world. The River Amazon is massive. Its width varies between 1.5 and 10 km, but during the wet season it can become several times wider than this. It is often referred to as the River Sea because of its large size. The Amazon releases more than 200,000 cubic meters of water per second into the Atlantic Ocean. 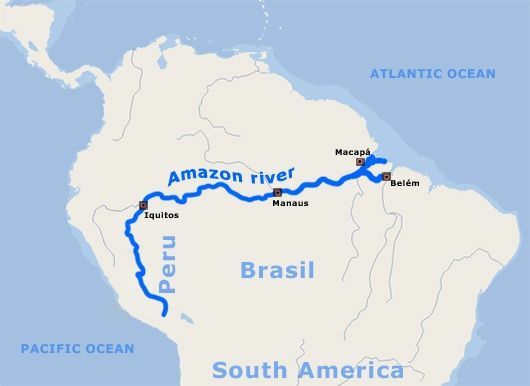 One fifth of the freshwater entering the world’s oceans comes from the Amazon River. How did the Amazon get to be so big? The first reason has to do with its location - right at the equator. Around the "belt line" of the earth lies a warm, tropical zone where over 400 in/1016cm of rain fall every year. That averages out to more than an inch (3cm) of rain, everyday! A lot of water falls onto the land surrounding the river, what is called the Amazon River drainage basin. A good way to understand what a drainage basin is to think of the whole northern half of the continent of South America as a shallow dish, or saucer. Whenever rain falls and lands anywhere in the river basin it all runs into the lowest place in the pan, which happens to be the Amazon River. The sheer volume of rain in the Amazon jungle, as well as the slope of the surrounding land, combine to create the enormous river known as the Amazon. 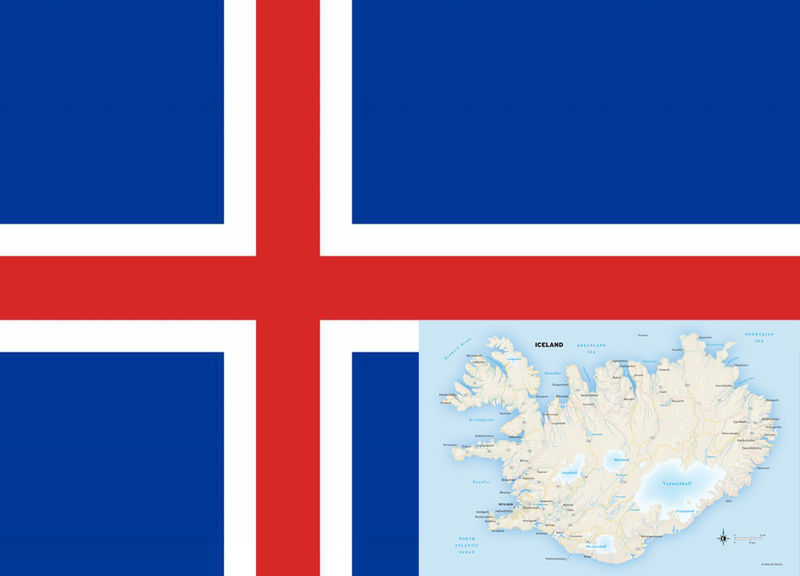 Iceland is a Nordic island country in North Atlantic. 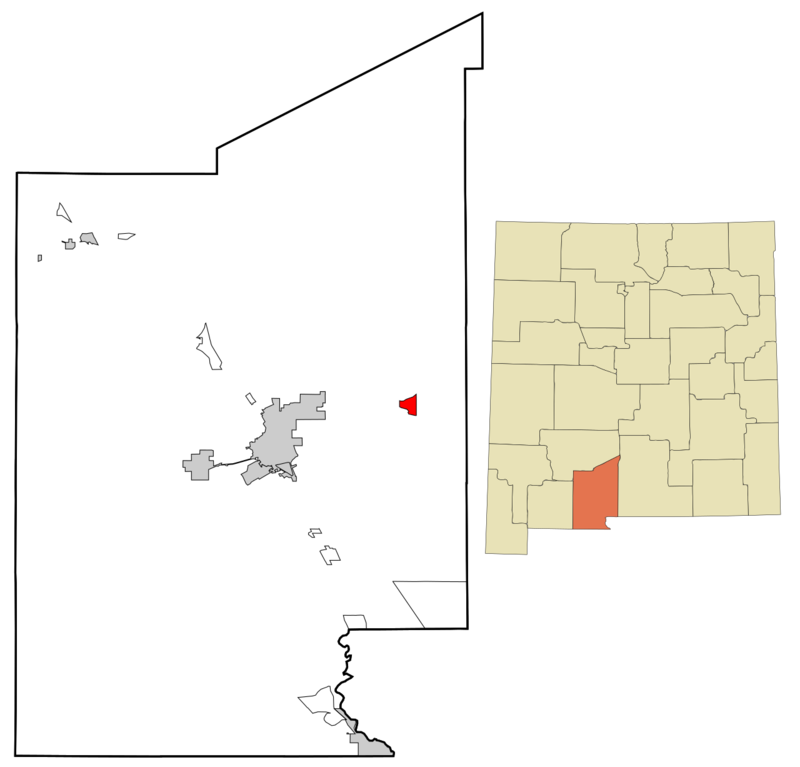 Population is just 350’000 and an area of 102’775km2 , 39,682 sq mi. The capital and also the largest city is Reykjavík, which is a home to over two-thirds of the population. Iceland is volcanically and geologically active. The interior consists of a plateau characterized by sand and lava fields, mountains, geysers, glaciers, and many glacial rivers that flow to the sea through the lowlands. Iceland is at high latitude and marine influence keep summers chilly, and other seasons are chilly and cold. Iceland is the only place where you can experience horizontal rain. When I was in Iceland, I experience horizontal rain, and it is really bad and so much different than normal rain. Iceland is warmed by the Gulf Stream and has a temperate climate, despite a high latitude just outside the Arctic Circle. With the widespread availability of geothermal power, and the harnessing of many rivers and waterfalls for hydroelectricity, most residents have access to inexpensive hot water, heating, and electricity. Renewable sources like, geothermal energy and hydro-power, provide effectively all of Iceland's electricity and around 85% of the nation's total primary energy. Iceland has hundreds of volcanoes with about 30 active volcanic systems. On 21 March 2010, a volcano in Eyjafjallajökull in the south of Iceland erupted for the first time since 1821, forcing 600 people to flee their homes, and causing huge problems in Europe. The resultant cloud of volcanic ash brought major disruption to air travel across Europe, some airports were closed or shutted down. The climate of Iceland is subarctic, mainly in Iceland’s coast, and tundra, huge area is covered by tundra. The climate varies between different parts of the island. The south coast is warmer, wetter, and windier than the north. The Central Highlands are the coldest part of the country. Low-lying inland areas in the north are the most arid. Snowfall in winter is more common in the north than the south. Iceland is a geologically young land. Iceland is the surface expression of the Iceland Plateau, a large igneous province forming as a result of volcanism from the Iceland hotspot and along the Mid-Atlantic Ridge (MAR), the latter of which runs right through it. Iceland is widely known as "The Land of Fire and Ice", however, it is also the land of light and darkness because in the summer days with near 24-hours of sunlight; offset by short winter days with very little sunlight. This is because Iceland is located just below the Arctic Circle. New Zealand (NZ) is a large island nation located in the Eastern Hemisphere, just off the coast of Australia. It is made up of two main islands and various smaller islands. Altogether, New Zealand is roughly the same size as the United Kingdom or Japan. One of the most popular smaller islands to visit in New Zealand is Stewart Island, or Rakiura, as the native people call it. 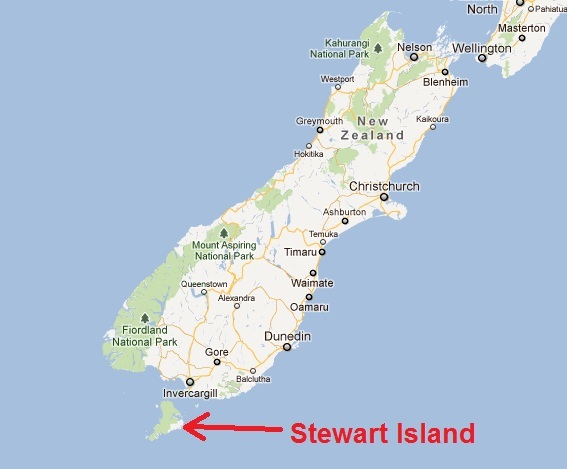 Located about 19 miles south of the southernmost part of New Zealand, Stewart Island is actually the third largest island in NZ. However, while the region may be small, it is full of beautiful surprises and great diversity! Because New Zealand is somewhat of an isolated country, it has a vast variety of animal life. Stewart Island is no exception as it and its islet, Ulva Island, give life to some of the most unique and endangered species in New Zealand. The animals that are the most popular in this area are the various birds. Weka, fantails, rifleman, native tui, silvereyes, kererū (NZ pigeons), kākā (forest parrots), Stewart Island robins, yellow-crowned and red-fronted parakeets, and albatross are all just a few of the unique birds found on the islands. Of course the nation’s famous flightless bird, the kiwi, is abundant here too. 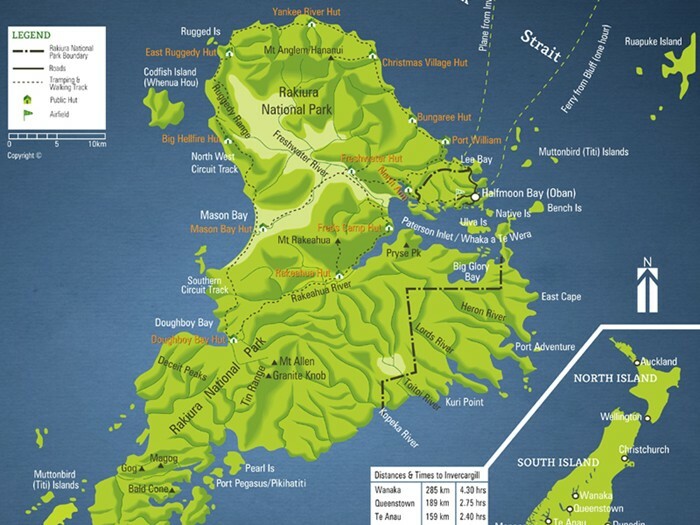 The Stewart Island kiwi, South Island saddleback, yellowhead and southern brown kiwi (tokoeka) can all be found at this location as well. Different species of penguins also live on Steward Island and the islet, such as the yellow-eyed, southern blue, rockhopper, Fiordland crested and Snares crested penguins. Depending on the season, one might also spot a few bottlenose dolphins, New Zealand fur seals, sea lions, elephant seals, or harlequin geckos. The marine life around these islands are also very diverse. Kina (sea urchins), sea cucumbers, starfish, Giant kōkopu, banded kōkopu, longfin eels, redfin bully, giant bully, lamprey, and three species of non-migratory fish can be found in the rivers and in the oceans. The Stewart Island in New Zealand has several plants in its country. Here are some of the plants that are home to Stewart Island like the leatherwood, a hardy scrub with large shiny leaves, and a variety of other floras including mountain buttercups and mountain daises. In Stewart Island the bush forms a more or less wide fringe round edge, rising to the foothills. Deer’s have cleared most of it of the once-luxuriant undergrowth of ferns and saplinge. The common type of bush is the rimu-rata-kamahi with thin-bark totara, miro, broadleaf, Nothopanax species and stinkwood. Matai and kahikatea are rare and local. Lawyer, supplejack and the tree-ferns, Cyatheasmithii, Dicksonia squarrosa and fibrosa are common. Here are some of landscape that are around Stewart Island Bald Cone exfollation dome, Big Hellfire sand pass, Ernest Islands sand tombolo (Mason Bay), Granite Knob and Lees Knob exfollation domes, and Mason Bay sand passes and parabolic dunes.